Guangzhou (also romanized as: Canton; less-commonly known as Kwangchow) is the capital and largest city of Guangdongprovince in South China. Located on the Pearl River, about 120 km (75 mi) north-northwest of Hong Kong and 145 km (90 mi) north of Macau, Guangzhou serves as an important national transportation hub and trading port. One of the five National Central Cities, it holds sub-provincial administrative status. Guangzhou is the third-largest Chinese city and the largest city in South Central China. As of the 2010 census, the city’s administrative area had a population of 12.78 million.Some estimates place the population of the entire Pearl River Delta Mega City built-up area as high as 40 million including Shenzhen (10.36 million), Dongguan (8.22 million), most parts of Foshan(7.19 million), Jiangmen (4.45 million), Zhongshan (3.12 million) and a small part of Huizhou adjoining Dongguan and Shenzhen, with an area of about 20,000 square kilometres (7,700 sq mi). Since ancient times, Guangzhou as an important port of China’s foreign trade ,not only is the political, economic and cultural center of Guangdong, but also a major transportation hub linking abroad. Guangzhou Foreign Trade has developed a long history, and has been hailed the “Maritime Silk Road,” From 1957 onwards, each two of the Chinese Export Commodities Fair, has been held here. Guangdong is the world’s largest toy, footwear, leather goods and other industrial production base, with the power of the industrial base, Guangzhou toys, footwear, leather goods and other specialty markets, have formed or are forming “Guangzhou price”cover China and the world. Guangzhou has a wide range of restaurants to offer,foods can be tasted from every country around the globe,such as Chinese food,Southeast Asian food, Western food etc.Below features a vairiety of the very best restaurants in Guangzhou. 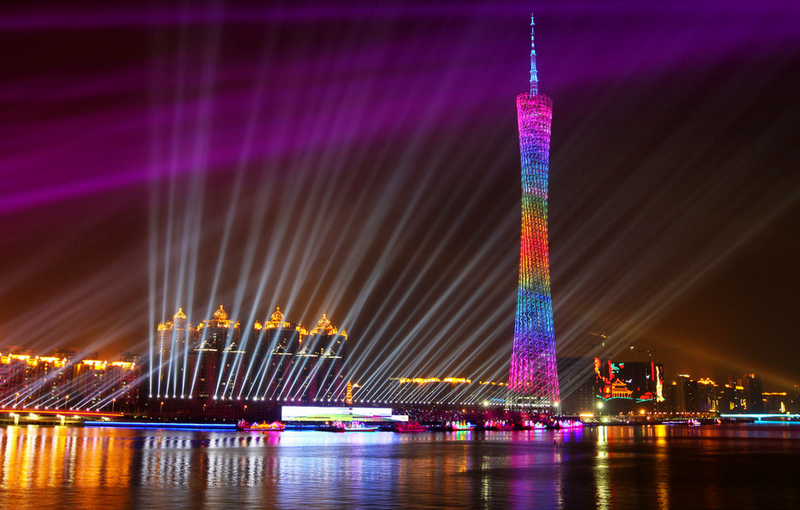 Guangzhou has an excellent nightlife scene with a large choice of bars and nightclubs to be enjoyed. You can go to bars,SPA clubs or KTV,just enjoy yourselves. ADD:No.276 Yanjiang zhong road,Yuexiu district. Back street 38 is a jazz bar & restaurant surrounded by a lovely bamboo forest. ADD:East gate of Guangdong Museum of Arts, Ersha Dao,No.38 Yanyu road. ADD:Outside Baiyun Hotel, No.367 Huanshi Dong Rd.